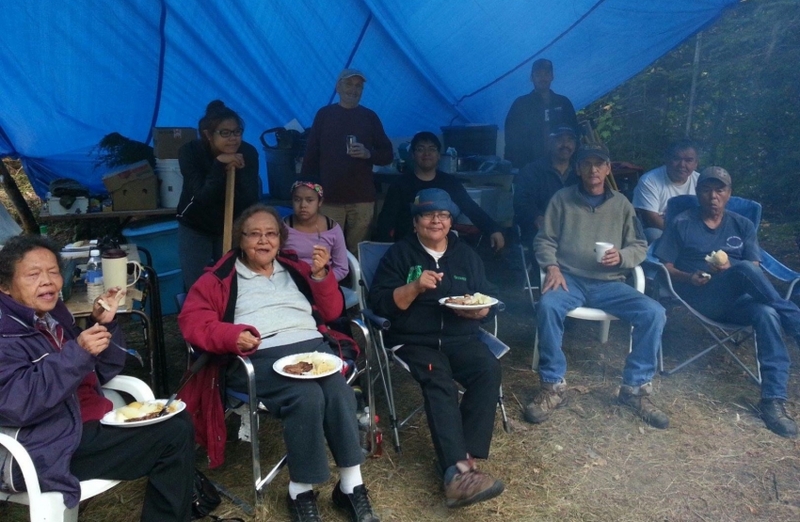 Participants at the Gitxsan Madii Lii camp. 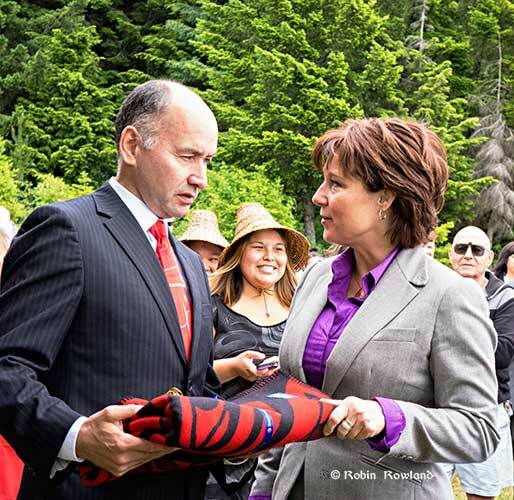 Haisla Nation Chief Counsellor Ellis Ross presents BC Premier Christy Clark with a gift to mark the sale of the hospital lands to the First Nation, June 2014. This land is intended for use as an LNG facility. For 60 years, the Haisla have looked across the channel to see the industrial opportunities that have passed them by. Now with prospect of at least three LNG plants in Kitimat, with the companies and B.C. government inviting them to play a partnership role, the band’s economic future is bright and it seems everyone has a job. 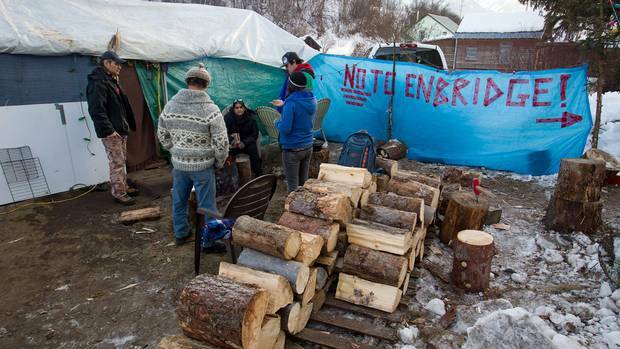 Members of the Gitxsan First Nation opposed to the $5.5-billion Enbridge oil pipeline from Alberta to the British Columbia port of Kitimat warm themselves around a fire at ablockade of the Gitxsan Treaty Office in Hazelton, B.C., on Thursday January 12, 2012. When a small native band in British Columbia launched an online petition to oppose increased water use by the gas industry, it was hoping for 500 signatures.